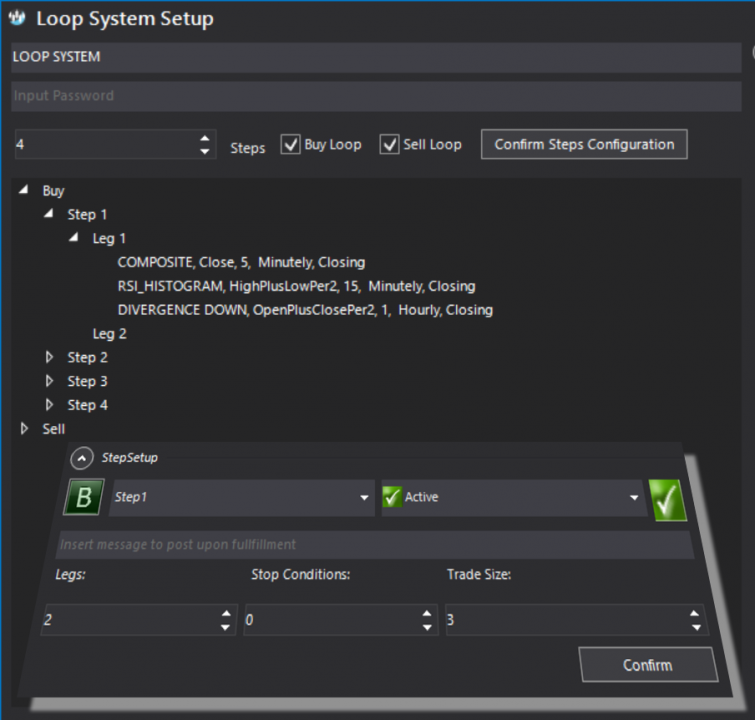 Combine validation custom studies any way you want to build complex trading algorithms. 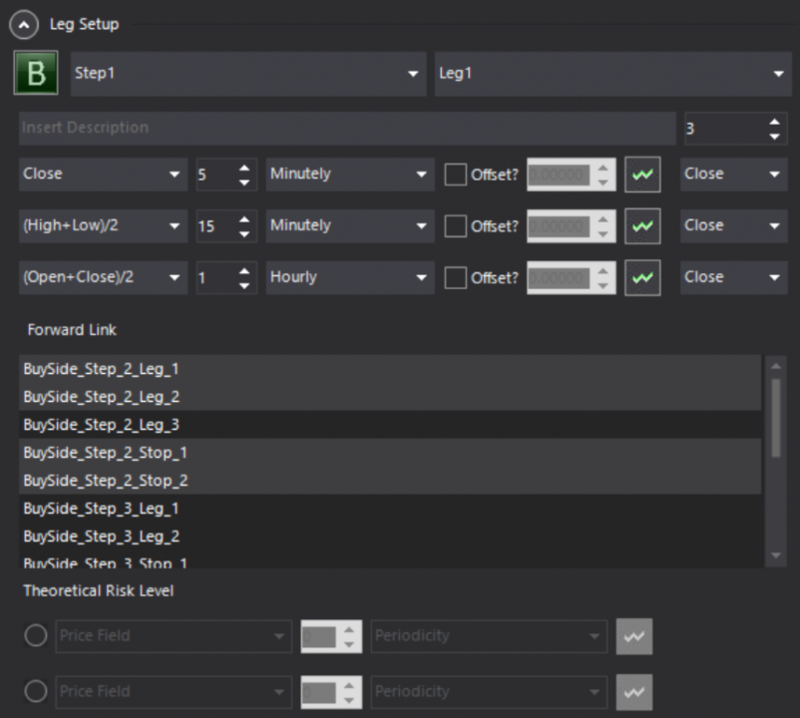 Build multi-leg / multi step trading systems with advanced step-leg dependencies and fully customizable logical sequences. We break-down a full position cycle into specific steps. We allow for the possibility of having step fulfillment in more than one way, i.e. through more than one set of conditions – or legs. Leg fulfillment occurs with the simultaneous fulfillment of multiple conditions evaluated in different time frames on a print, or, as the case may be, on a closing basis. The conditions are in fact validation custom studies whose RESULT function returning +1 leads to buy-side fulfillment and whose REVERSE_RESULT inverse function returning -1 leads to sell-side fulfillment.